(BEAVER FALLS, Pa.) – Geneva College hosts Tuition Freedom Day on Thursday, April 4 to celebrate the generosity of donors who make students’ education possible. From 11 a.m. until 1 p.m. in the Brigadoon and Alexander Dining Hall and then 5 to 6:30 p.m. in Alexander Hall, students will stop by to write thank you notes to donors who have provided financially where their tuition ceases to pay for their education. As a way to celebrate, students can enjoy free donut holes, which represent the “hole” in students’ tuition paid for by donors. 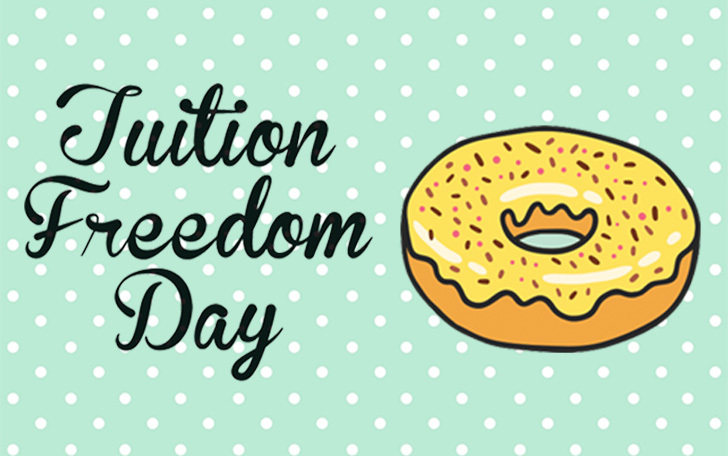 The purpose of Tuition Freedom Day is to emphasize the significant impact of fundraising at Geneva College. Nearly 100% of Geneva students receive some form of financial assistance. Without external funding, most students would be unable to enroll. The college wishes to give students the chance to acknowledge and thank the people who show their support through contributing to their tuition fees. If you are interested in investing in Christian higher education, you can give to Geneva College to support students’ financial needs. Visit Geneva.edu/give to learn more about how you can contribute in ways appropriate to your ability and desire. Geneva students are grateful for your support.